The White House clearly will be focusing on health care as a top-tier domestic policy issue in 2006. President Bush’s economic adviser, Allan Hubbard, previewed for reporters this week some of the initiatives the president will unveil in his State of the Union address on January 31. Health Savings Accounts will continue to be a top priority, likely allowing larger tax-free deposits and expanding tax preferences to those who purchase health insurance on their own. Portability will be a primary goal: HSA accounts already are portable from job to job, but the accompanying health insurance is not. Allowing individuals to deduct the cost of a health insurance policy they buy on their own helps to level the playing field with those who get a generous tax deduction when they get their health insurance at work. The president also can be expected to recommend giving people more options in where they purchase health insurance. With 45 million people falling through the cracks of the employment-based system, surely we need an alternative that allows people to buy insurance through other kinds of groups. These are all important initiatives that would inject more consumer power and market forces into the private health sector. The president also is expected to continue to push his plan to offer special subsidies to the uninsured to purchase health coverage. Mr. Hubbard said that the president does not plan to tackle directly the distortions in the tax code which are responsible for so many of the problems in the health sector, as his Tax Reform Panel had advised. That’s too bad, but our consolation is that many of the changes Mr. Hubbard outlined will move toward the same goals – creating more private ownership of health insurance through direct tax incentives and new group purchasing opportunities which will encourage people to make more efficient health purchasing decisions. 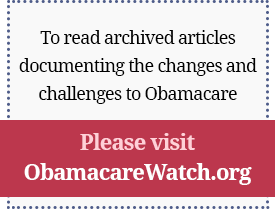 For the last decade, the primary focus of health reform has been on helping the uninsured. But we are seeing a shift as rising health costs are creating a new anxiety in the middle class. Families fear they could lose their health insurance and face huge bills they couldn’t pay or be forced to forgo the best medical treatments. As a result, middle class anxiety about health insurance is evolving into an important political issue. These proposals, which give people more security through private ownership of health insurance and greater control over their health care expenses, help address that anxiety and also move toward more sound health policy. The American Enterprise Institute will feature a forum on January 20 about a new book that serves as a touchstone for the president’s anticipated health policy proposals. The event features former Bush economic adviser Glenn Hubbard, who co-authored the book Healthy, Wealthy, and Wise with Dan Kessler and John Cogan. See our events section below for registration information. See you there. California’s uninsured: Crisis, conundrum or chronic condition? Merrill Matthews of the Council for Affordable Health Insurance has produced an important new study showing that Medicare’s administrative costs are higher and the private sector’s are lower than commonly believed. Medicare often is cited as an example of why government health programs are more economical to run than private health insurance. “You’ve heard the claims: Medicare administrative costs are about 2 percent of claims costs, while private insurance companies’ administrative costs are in the 20 to 25 percent range — or more,” Matthews says. But Matthews, working with Mark Litow of Milliman, Inc., found that Medicare’s administrative costs are closer to 5.2% and would be higher if other hidden costs were included. And that private sector costs are lower, at 8.9%, than critics claim. U.S. health care spending rose only 7.9% in 2004, marking the slowest rate of increase since 2000, according to Smith et al of the Centers for Medicare and Medicaid Services. “Hospital spending accounted for 30% of the aggregate increase between 2002 and 2004, and prescription drugs accounted for an 11% share – smaller than its share of the increase in recent years and much slower in absolute terms,” write the authors. Health care spending in 2004 reached $1.9 trillion, representing 16% of the Gross Domestic Product, or $6,280 per person. Medicare spending in 2004 reached $309 billion, while Medicaid reached $121.6 billion, continuing its recent slowdown. An examination of the uninsured in California reveals that the “problem of Californians without health insurance is not as awful as generally portrayed,” writes John R. Graham of the San Francisco-based Pacific Research Institute. “The most commonly cited figures for the long-term uninsured likely overstate their numbers by more than 100%”, and the state’s immigrant population, “a large portion of which does not have health insurance, masks an insurance coverage rate for citizens in line with the U.S. average,” writes Graham. He says policymakers can increase coverage for California’s uninsured by allowing tax deductibility of Health Savings Accounts and deregulating the state’s health insurance market. Friday, January 20, 2006, 9:00 – 10:30 a.m. This event will feature a conversation with R. Glenn Hubbard, Former Senator John Breaux, and Douglas Holtz-Eakin. For additional details and registration information, go to: www.aei.org.